Books and baking. What could be better? 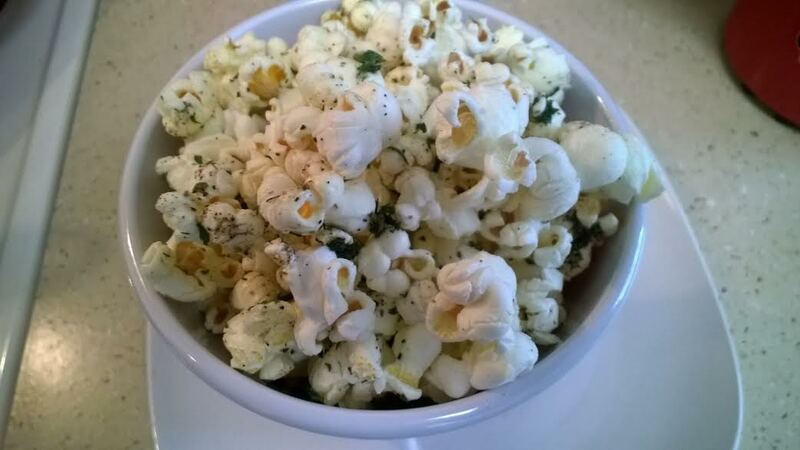 Place popcorn into a large bowl. Add olive oil (if not used for stovetop method), pepper, sea salt, and parsley.